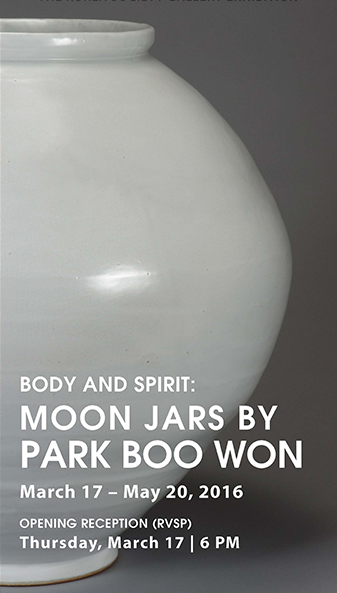 Park Boo Won’s contemporary reproductions of moon jars simultaneously carry on and advance the Korean royal ceramic tradition. Traditional moon jars originated in the court of King Chŏngjo at the end of the 18th century. The white porcelain and simple curves embodied the principles of frugality and purity—neo-Confucian ideals of the ruling dynasty. Born in the countryside of Kimje in 1938, Park learned the royal ceramic tradition under distinguished master ceramist Ji Soontag. 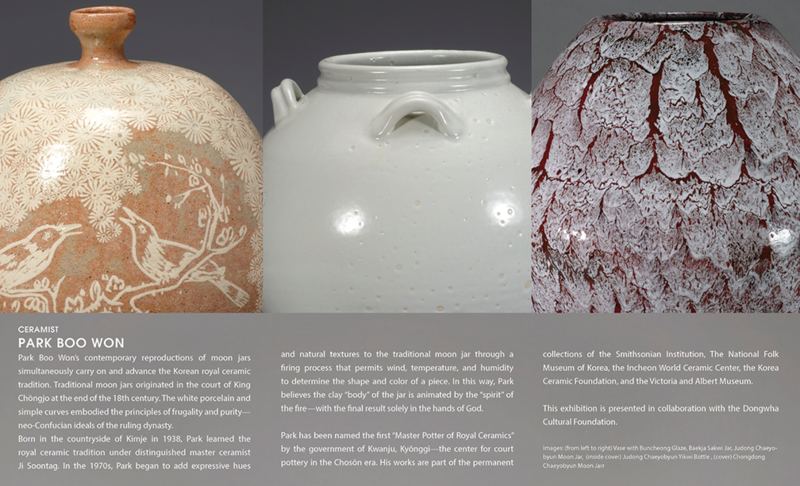 In the 1970s, Park began to add expressive hues and natural textures to the traditional moon jar through a firing process that permits wind, temperature, and humidity to determine the shape and color of a piece. In this way, Park believes the clay “body” of the jar is animated by the “spirit” of the fire—with the final result solely in the hands of God. Park has been named the first “Master Potter of Royal Ceramics” by the government of Kwangju, Kyŏnggi—the center for court pottery in the Chosŏn era. His works are part of the permanent collections of the Smithsonian Institution, The National Folk Museum of Korea, the Incheon World Ceramic Center, the Korea Ceramic Foundation, and the Victoria and Albert Museum. 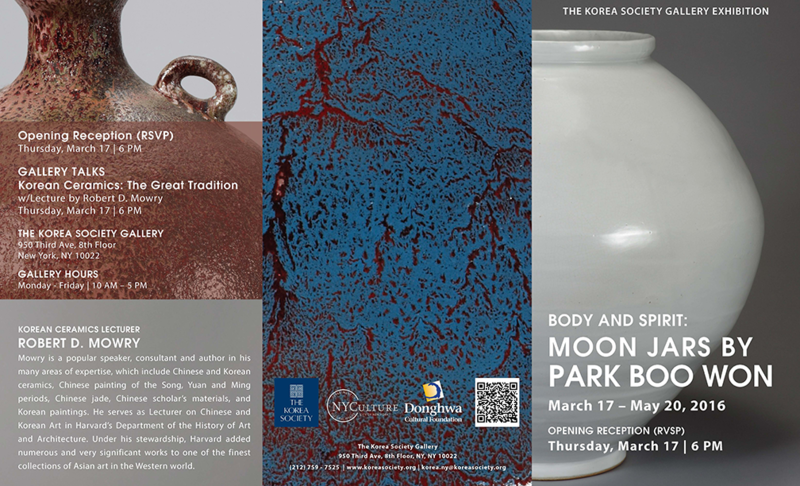 This exhibition is presented in collaboration with the Korea Society.